Basics are the first thing to keep in mind when it comes to achieving long-term, proven results. Every single day, someone is mixing up a health/protein shake or pre-workout drink with the deep seeded belief that those products are the key to success. Wrong! They play a small part but “real” results are gained by consistent exercise, varying that exercise and working at the right intensities to produce a need for additional supplementation in the first place. 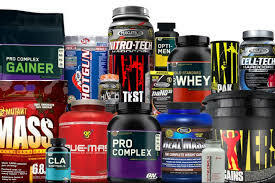 The majority of people who use all of these supplements are not even working out with the consistency or intensity levels necessary to even make those products worth the time or money. Let us not forget about proper nutrition. If you are drinking shakes and pre-workout drinks like an Olympian and eating junk food like the average American 10 year old….results will be hard to achieve and maintain…end of story! Prove first that you can consistently exercise week after week without quitting, prove that you craft and maintain a solid meal plan that will support that consistent exercise and then….and only then should you start looking for supplement options to fill in the gaps. Master the basics first!